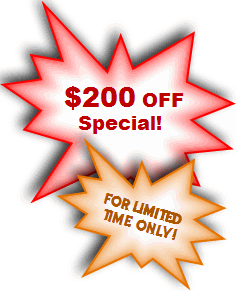 A "must have" Manual for B2B Lead-Gen and Marketing Executives! This Business-to-Business Lead Generation Handbook covers ALL ASPECTS of a B2B Marketers job, from Pre-Campaign Research & Preparation, Database Building & Maintenance, Campaign Strategy & Execution, Measurement of Results and the Creation of Content. It spans Online and Offline Campaigning alike, using Real-World Case-Studies and Practical Tips that will help you become better at what you already know best, effective B2B Marketing! 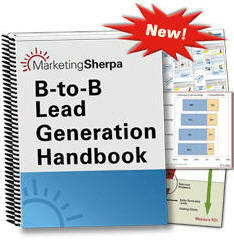 (formerly known as B2B Marketing Handbook) from Marketing Sherpa. The guide is the biggest (thickest) that I have ever seen from the Sherpa. It is over 500 pages in size and packed through the roof with data charts, eyetracking heatmaps, written and visual real world example creatives and case studies, statistics, tips, general how-tos and best practices. This one book has basically everything that you need to do be a more successful marketer who promotes business to business products and services. Have a glimpse for yourself, free, Download the Executative Summary, or see my summary of the Table of Contents below. (yes, summary, because the full Table of Contents is 14 pages long). The word "Handbook" in the title of this book can be taken literally, although "Manual" would have been a bit more accurate. This is what this book should be in your marketing department. It's the manual for newly hired staff to learn the does and don'ts and the how-to; and the reference to look up information to specific subject for the experienced marketers and veterans. Buyers Kits, Catalogs, Brochures, CD-Roms, Consulting, Contests, Co-Registration, Desktop Applications, Email Newsletters, Games, Gift Cards, Quiz, Private Clubs, Industry Associations, Road Shows, Seminars, Case Studies, Trials and Demos, Schwag, Sweeps, Webinars & Virtual Events and more. Print Ads, Online Advertising, Analyst Relations, Awards, Contextual Advertising, Direct Postal Mail, Email Broadcast, Email Newsletter Advertising, PR/Media Relations, Word of Mouth etc. If you are a professional B2B Marketer, then you have to have this serious book. If you do not have it yet, Go and Get it!.